There are a number of cases of an Australian citizen or a person living in Australia with a specified visa having family members living in other countries. These people may wish to have their families come visit them in Australia or even migrate their families to Australia so that they maybe close again and live together in the country. There are different types of visas that arise in this category whereby the two main categories include the contributory parent visas and the spouse visas. The contributory parent visa, also known as the subclass 143, is the visa given to individuals who have a child who is either an Australian citizen or a permanent resident, therefore, allowing them to settle in Australia under the condition that they meet certain requirements in this category. 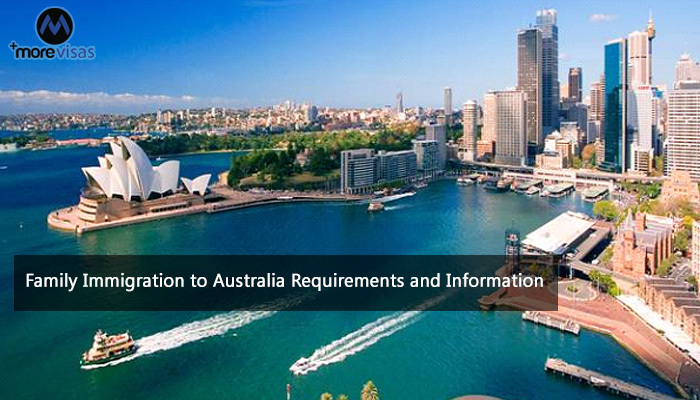 Some of the major requirements are that an individual wishing to enter Australia must be financially capable of supporting themselves in the country. If not, then they should have a trusted sponsor who would finance his or her stay in Australia and if this is the case then they should submit proof to the immigration agency during the application process. The Australian immigration agencies also have a balance of family test administered to individuals interested to reside in the country whereby applicants who have other children in other countries should have most of his or her children living in Australia as citizens or permanent residents for them to qualify for this visa category. The last requirement for applicants in this category is that they should be committed to paying higher charges in order for their visas to be processed at a faster rate. On the other hand, there are Australian citizens who have spouses living outside the country. The Australian immigration agency offers the partner visa or subclasses 820 and 801 for individuals who have spouses whose partners are Australian citizens. This grants them permission to live in Australia for as long as their spouses are Australian citizens, permanent residents of Australia or an eligible citizen of New Zealand. The process of application of a permanent partner usually takes place in two stages. First, one acquires the temporary partner visa, also known as subclass 820, which allows the interested party to take the steps of acquiring the permanent partner visa, also known as the subclass 801, which is the final stage of this category. During these stages, the individual must follow these processes when he/she has entered Australia. To get an Australian PR, fill out-out Enquiry Form, and also follow us at Facebook, Twitter and Google+. Previous Previous post: How Can I Learn The Language of My Country? My brother-in-law want to go Canada so please suggest me what is process of get the visa? I want to Australia visa for my all family please help me..